Q: What is diabetes? How many types? Answer: Diabetes is a disease. In this disease, blood sugar levels are high. Diabetes is of two types. Type 1 diabetes and type 2 diabetes. A hormone is called insulin from the beta cell of the pancreas. Especially when eating fat and carbohydrate diet, it is converted into glucose through liver. That glucose can help insulin enter the body. When the glucose enters the body, it becomes oxidized, and from it the indigenous tri phosphate (ATP) is made of energy. From this energy a cell receives nutrients to do its job. This energy is available from glucose and insulin enters glucose into the body cells. Type 1 diabetes: It is generally below 30 years. Due to the work of antigens and antibodies, viruses of pancreatic virus are completely destroyed due to viral or other reasons. As a result, there is a shortage of insulin. Glucose can not enter the cell after insulin deficiency occurs. If you do not have access to glucose, then energy will not be created. Type 2 diabetes: In this case the insulin decreases and the beta cells are damaged. But not like the type 1 type. In this case, the receptor that takes place to enter insulin cells is damaged. As a result, type 2 diabetes does not decrease insulin levels, but insulin can not work because cell receptors are damaged. As a result, glucose can not penetrate insulin cells. Glucose levels increase in blood. Q: What are the symptoms of diabetes that can be understood? Answer: If diabetes mood gets annoying, body weight may be reduced, it may be repeatedly tried, often go to the bathroom, can increase appetite, and even junkhein with hands. Especially with a pinch of pinch in the legs. Genital itching can occur in women. In addition, the amount of boil, rash can increase. These symptoms are the symptoms of diabetes (blood sugar increase). Q: What can be the problem if diabetes increases? Answer: If the blood sugar increases in the body then the fat in the stomach breaks. That is why people become lean. They break free of fatty acids. When they go into the blood vessel, they create inflammation. This reduces blood circulation anywhere. The rate of blood circulation does not occur at the rate of blood vessel shrinkage. If blood circulation is interrupted, there is a micro and macro vascular system for diabetes. This reduces blood circulation in the body's main organs. Basically, four different organs - Brain, heart, kidney, and liver blood circulation decreases, there are various complications in the body. The tendency of blood clotting is seen. Diabetes patients may cause brain stroke. It is a serious condition when blood clots are tied in the brain. Chronic heart disease can be diabetes in the long run. Kidneys can be damaged. Retinopathy or blindness may also come in the eye. Sometimes the nerve effect of the feet may be neuropathy, causing the foot to grindstone, the legs become unconscious. Come to the numbness of the legs. If the blood circulation decreases in the foot, then the peripheral artery disease can occur. It is not felt when the foot becomes shaky, when it gets hit. This can cause foot injuries, ulcers, gangrene. Foot injuries to patients with diabetes are severely damaged. It is called diabetic foot or diabetic ulcer or diabetic gangrene. Q: What is the treatment of diabetes? Answer: Insulin is the only treatment for type 1 diabetes. Because there is a lack of insulin. 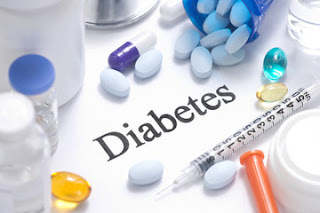 Type 2 diabetes has insulin and can not work, in the first case the drug is given. If they do not work, insulin patients should take it. 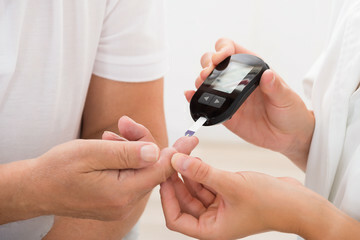 If you do not understand, at first, blood sugar is very high (above 500), in the first place, insulin is given. After the blood sugar decreases a bit, then the medicine is given. Those who have been advised to do their medicines, diet and physical work in the Sugar 200-250, the doctors In spite of the increase of blood sugar, insulin is given. Q: Insulin is to take lifetime? Answer: There is no point in starting insulin once you have to take life. But diabetes is a progressive disease. In this case, the beta cell of the pancreatic cell is gradually destroyed. So the duration of diabetes is increasing as the complications increase. As a result, regular insulin is also to be taken. Q: How can you understand diabetes? Answer: There are three medical tests for diagnosis of diabetes. HBAnancy test is done to see that fasting blood sugar, PP blood sugar (after two hours after eating rice or 75 g of glucose in a glass of water, and glucose in the blood hemoglobin). From which three months of readings are available. 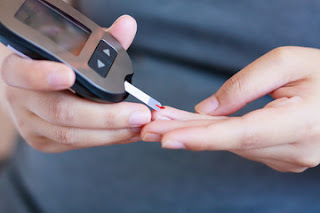 If fasting blood sugar is more than 126 milligram percent, PP blood sugar is known to be more than 200 milligram percent and HbAncasi is more than 6.5%, it is known to have diabetes. There are several tests needed to see if there is a complexity of blood sugar syndrome. Foot nerves are examined, ECG or echo are used to check the condition of heart, cholesterol is examined. Because diabetes, hypertension, heart disease and high cholesterol are usually seen together. 50 percent of cases have diabetes, have depression or heart disease. That's why diabetes, heart disease and hypertension are called 'three friends' together. Q: What can be done to prevent diabetes? Answer: To stay alive for diabetes at least one hour of the day should be kept for yourself. More Functional Walking Factors People with diabetes should walk regularly every day. This habit should be kept without diabetes. There are some rules that should be followed for diabetes. One hour of the day can be convened for a while. Have a moderate meal After eating more food together, pressure on the pancreas. That's why Diabetes patients are advised to eat six-meal meals a little bit. Eating vegetables will increase the amount of vegetables. It is not right to eat bread without eating rice in diabetes. Because rice and bread are two carbohydrates. Usually eat everything but calories should be calculated accordingly. To eat 1400 to 1600 calories per day. There will be regular athletics with Working hard to follow, adhering to calorie intake, eating less calories, eating less calories, working hard, reducing anxiety, having fun, eating less calories. But one person does not die for diabetes. 90% of people died due to complications from diabetes.